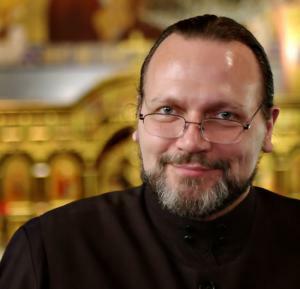 Growing up in the Antiochian Orthodox Church, Matthew Namee learned to love the faith, and as he grew older and began to research the Church's history in America, he eventually decided to join with other historians to form the Society for Orthodox Christian History in the Americas (SOCHA). 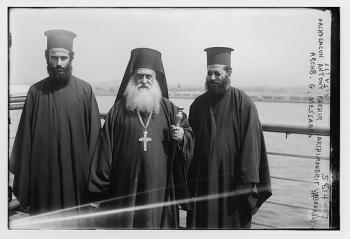 Readers of SOCHA's website, OrthodoxHistory.org, will encounter fascinating articles about, and see archived photos of, events of great interest to Antiochian Christians, such as St. Raphael's consecration, and Metropolitan Antony Bashir's ministry in the early to mid-1900's. They will also discover essays, primary sources, links to podcasts, book reviews, and tidbits discovered in the course of research, that all tell the story of the early years of Orthodoxy in America. 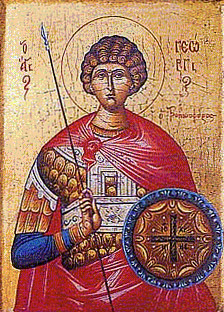 Namee also now hosts a podcast with Ancient Faith Radio, titled American Orthodox History. Recently, Antiochian.org chatted with Matthew Namee about SOCHA's historical sleuthing. 1. Tell us about the Society. What is your mission and purpose? I’ve been doing research on American Orthodox history for a number of years now, and I noticed early on that there were others like me, doing similar research, but without any knowledge of each other. Antiochian Women With Completed Haiti KitsNearly everyone had arrived at Antiochian Village by Friday Feb. 5 for Antiochian Women’s mid-winter meetings before the fourth largest snowstorm ever in western Pennsylvania began. The North American Board (NAB), made up of five elected officers, immediate past president and six coordinators, met Friday afternoon. They began meetings with officers and delegates of the seven diocesan Antiochian Women’s organizations on Friday evening, which continued on Saturday after Soul Saturday Divine Liturgy. Prior to the first meeting Mother Alexandra, abbess of the Convent of St. Thekla that established at the Village in July, led a mini-retreat for the women. Most everyone, including monastics, deal with temptations and distractions in their spiritual lives, Mother Alexandra said. She talked with the women about the things that distract us, including church-related ones. “We need to stay focused." His Grace Bishop THOMAS spoke to the women about preparations for Great Lent and for the Kingdom of God. “You have the opportunity to spend a lot of time in the presence of God." He later added that “you bring great joy to this place." The editors at Antiochian.org have launched a dedicated section of pages for parishes under the "Parishes" drop down button in the top menu. In addition to the already existing list of parishes, the three new pages feature news from parishes around the U.S. and Canada, resources for building missions and strengthening established parishes, and help for parish web editors. A centerpiece of the new section is a fascinating roundtable discussion between six mission parish priests, who share what they've learned about effective mission building. Has your parish hosted a conference or sponsored an outreach event? Did your community just break ground for a new building? Share it with us! Readers of Antiochian.org are encouraged to submit their parish news and photos for posting, as well as suggested resources, via the editor's box: editor@antiochian.org. Throughout the holy season of Great Lent, Antiochian.org will feature Lenten resources, accessed on the home page through the Resources for Great Lent button. Here, web visitors will be able to read articles about the forty days of fasting and preparation, listen to podcasts old and new, and find liturgical resources to use in Lenten services. Recently, the editors at Antiochian.org spoke with Fr. Christopher Metropulos, the Executive Director of the Orthodox Christian Network, about several new initiatives OCN is introducing at the start of Great Lent. 1. OCN is launching a new all talk internet radio station called "The Anchor." Who will be hosting this, what is his/her background, and what kinds of topics will you be addressing? We understand that both the host and the programmer are members of the Antiochian Archdiocese. Yes, we are launching the Anchor Internet Radio Station. Our new talk stations will have a multitude of programs around this sacred time of the year encouraging and inspiring the faithful on their spiritual journeys. We welcome Konstantin (Kosta) Rysyanin as the new Program Director, and Scott Allen Miller as the host of the station, to our OCN staff. Both are members of the Antiochian Archdiocese. The official Ground Breaking of the new Germack Hall which is named after the late Mr. and Mrs. John and Hooda Germack, who left $1,000,000 to St. Philip Church for the construction of the new Hall. The launch of the St. Philip Antiochian Orthodox Church Home for Children Program. This program was spearheaded by Mr. Richard Zakka, Chairman of the Ground Breaking Committee. On Friday night, February 12th 2010, His Eminence will preside over a private meeting with the Pastor, Parish Council, and Building Committee members of St. Philip Orthodox Church at the Coral Ridge Yacht Club on the Intracoastal Waterway. 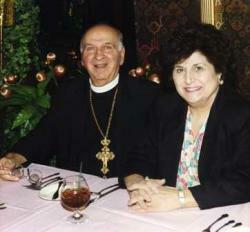 The dinner is hosted by Salim Khoury, Chairman of the Parish Council, and his wife Deborah. 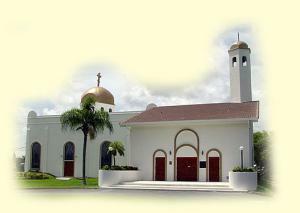 On Saturday, February 13th, 2010, His Eminence will preside over a luncheon with the parish children at St. Philip Orthodox Church, 4870 Griffin Road, Davie, FL 33314, while the Parishioners and guests from around the country will enjoy a Golf Tournament, sponsored by Mr. and Mrs. David and Terri Dorta, at the Bonaventure Country Club. David Dorta is the Chairman of the Building Committee and his wife, Terri, is the Choir Director at St. Philip Orthodox Church. Prior to Super Bowl Sunday, and in anticipation of Great Lent, FOCUS North America has announced that they have joined hands with Troy and Theodora Polamalu to tackle poverty in America. "By joining with us," they urge, "you will help those in need-the poor, the sick and the suffering. Join us also in prayer this Lent for those who have no one to turn to and no one to pray for them." Troy Polamalu holds two Super Bowl rings as a Pittsburgh Steeler, and his wife Theodora is a board member for FOCUS. They are also parents of a young son, Paisios. In an interview on OCN, the Polamalus discuss the importance of FOCUS' ministry, why they are choosing to become involved in fighting poverty in America, and how the Orthodox Christian approach to charitable outreach differs from other philanthropic groups. Known for combining wit with wisdom, and satire with sobriety, Fr. Joseph has authored several books reflecting his journey to and through the Orthodox Christian faith, including: We Came, We Saw, We Converted: The Lighter Side of Orthodoxy in America; Defeating Sin: Overcoming Our Passions and Changing Forever; and One Flew Over the Onion Dome: American Orthodox Converts, Retreads, and Reverts. He appears regularly on Ancient Faith Radio and is a priest at St. George Antiochian Orthodox Christian Church in Houston, Texas. The public retreat begins with the celebration of the Divine Liturgy at 9 a.m. in Three Hierarchs Chapel, and will be followed by brunch at 11 a.m. Fr. Joseph will present his talks from 12:30 p.m. to 4:00 p.m. in the Metropolitan Philip Auditorium of the John G. Rangos Family Building. A prayer service at 4:30 p.m. will close the retreat. 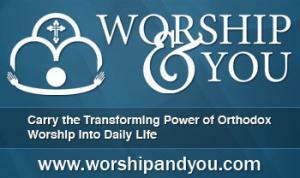 WORSHIP & YOU, the new multimedia study for Orthodox Christian adults and teens from Jason Barker and Ancient Faith Radio, aims to help Christians deepen their worship of God, and take the transforming power of that experience into their daily lives. Focusing on the main services of the Orthodox Church and personal prayer, Worship & You looks at the meaning of what takes place during liturgical worship, and how this applies outside of the church in the everyday world. NEW YORK, NY [OCA] -- With the blessing of His Holiness, Patriarch Kirill of Moscow, the head of Saint John Chrysostom, which is enshrined in Moscow's Cathedral of Christ the Savior, will be available for veneration in New York February 6-12, 2010. The relic will arrive at the Russian Orthodox Church Outside of Russia's Cathedral of Our Lady of the Sign, 75 East 93 Street, New York, during the celebration of the Vigil at 6:00 p.m. on Saturday, February 6. Following the Vigil, it will be available for veneration by the faithful. The following morning, the Hierarchical Divine Liturgy will be celebrated at 9:30 a.m.
On Monday, February 8, the Vigil for the Feast of Saint John Chrysostom will be celebrated at 6:30 p.m., while the Hierarchical Divine Liturgy the following morning will begin at 8:30 a.m. The Vigil will be celebrated on Wednesday, February 10, at 6:30 p.m.. The following morning, His Eminence, Metropolitan Hilarion, ROCOR First Hierarch, will preside at the Divine Liturgy at 8:30 a.m., after which the relic will be taken to Saint Nicholas Representation Cathedral, 15 East 97 Street, New York, where it will remain until the departure of the Moscow delegation on Friday, February 12. The head of Saint John Chrysostom was brought to Russia from the Vatopedi Monastery on Mount Athos in the 17th century. It was enshrined in the Moscow Kremlin's Assumption Cathedral until 1922. From 1930 until 1988, the reliquary with the shrine belonged to the Foundation for Guarding of Russian Silver of the 19th century. Several reliquaries, including the one bearing the saint's head, were returned to the Russian Orthodox Church in the State Armoury Chamber on the eve of celebration of the 1000-year anniversary of the Baptism of Rus' on May 26, 1988. In a project initiated by the Charity Ministry Team, the parishioners of St. George Antiochian Orthodox Church in Indianapolis, Indiana, gathered materials together for the IOCC health kits for the suffering people of Haiti. Each health kit contains soap, towels, a comb and nail tool, and band aids, and parish members managed to assemble around 1000 kits that will be delivered directly via the IOCC, to Haitians in need. "We can never have too many of these," noted an IOCC representative. St. George blogger Sarah Childs described the experience on her blog, Place of Verdure. "I was really looking forward to doing a lot of knitting, watching the Colts on Saturday evening, and doing a little house cleaning. Then about 4 pm, James called me to say that we had been asked to help at church with an effort to put together health/hygiene kits for Haiti, and my plans immediately seemed pretty trivial. I felt really blessed to have this opportunity to do something with my own hands, beyond praying and writing a check, to help those affected by this terrible earthquake. And I have to add that with many hands working together, we got it done so quickly that it didn't encroach on my own selfish plans at all." "It was really heartwarming for me to see all our parishioners getting into this," adds the Very Rev. Fr. Nabil Hanna, priest at St. George. Both the Russian Orthodox Church Outside of Russia and the Greek Orthodox Metropolis of Mexico, have parishes in Haiti, and all have been impacted in varying degrees, by the devastating earthquake of January 12. V.Rev. 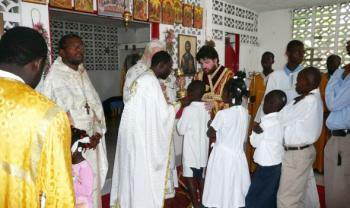 Victor Potapov, the Executive Director for the Fund for Assistance of the Russian Orthodox Church Outside of Russia, reports that the Assistance Fund has collected over $50,000 and disbursed $16,000 of aid to the suffering people of Haiti through trusted clergymen on the ground there. "This is an ongoing fundraising effort," he explains. "We are working towards opening a clinic on the grounds of one of our five parishes in Haiti. Please pray for Fr. Gregoire, Fr. Jean, their long-suffering parishioners and for the members of our delegation, who are doing a magnificent job in Haiti, negotiated with the United Nations, the Red Cross, IOCC and other organizations to get aid to our people." Deacon Matthew Williams of ROCOR, recently returned from a trip to Haiti, where he summarized in an online report the desperate condition of parishioners there. After over three productive decades in Ben Lomond, California, Conciliar Press is expanding its operations by moving to a new operations center and warehouse in the Chicago area. The Chicago facility began taking orders in early January, and with this centralized location, shipping will be more efficient. In addition, extended hours will allow for more cost-effective customer service and will keep operating costs to a minimum. 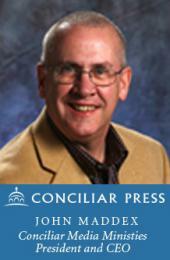 The toll-free number, 1-800-967-7377, remains the same, and at www.conciliarpress.com, customers can shop online. Conciliar Press operates under the Conciliar Media Ministries (CMM) umbrella, along with sister company Ancient Faith Radio, and is a department of the Antiochian Orthodox Christian Archdiocese. Recently, Antiochian.org caught up with busy Conciliar Media Ministries CEO John Maddex, to get his perspective on the recent Conciliar warehouse move to the Chicago area. 1. 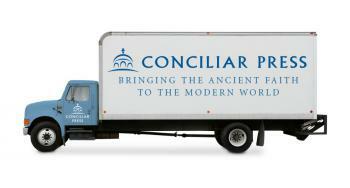 Over the holidays, Conciliar Press moved to a new warehouse location. Tell us first of all, where you are now, and how things are coming along as you resettle your books into a new space. Maddex: We have relocated to the Chicago area using the services of a professional fulfillment center which serves dozens of publishers. We began filling orders from the new location on January 4 and officially shut down operations in Ben Lomond, CA on January 15. I want to add here that our faithful staff in Ben Lomond worked valiantly with wonderful attitudes to help prepare for the transition all the way to the last day when the truck left for Illinois. They are a wonderful group of people. 2. Can you give us a little background as to why Conciliar decided to relocate? Maddex: As part of our long term strategy for streamlining and efficiency, it made sense to get out of the fulfillment business and allow a service who does nothing but fulfillment to better serve our customers. This translates into longer hours, savings from the economy of scale on things like packaging materials, picking and packing, large scale relationships with the major shipping companies and a more centralized part of the country to ship to and from. With the blessing of His Eminence, Metropolitan JOHN, Archbishop of Western and Central Europe, the Antiochian Orthodox Parish of St. Ignatius, Belfast is pleased to host An Orthodox Pilgrimage to Ireland on May 11–21, 2010. The price of the pilgrimage is £960 per person, based on double occupancy. A single supplement is 35% additional. The price includes all hotels, all breakfasts, most dinners, all transportation within Ireland (deluxe coach, ferry rides, etc. ), with a few exceptions. 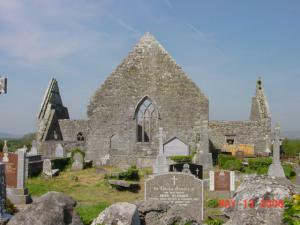 Please visit the Web site www.pilgrimageireland.com for a color brochure. A registration form is available on the web site. Deadline for reservations is Feb. 9, 2010. For more information, please e-mail Athanasius & Nektaria Blalock at nektaria.blalock@gmail.com. In the Parable of the Prodigal Son, emphasis is usually made either on the character of the Prodigal or the elder brother who stayed home and remained faithful to his father, or the father himself. But I would like to ask you to imagine that the Prodigal had a larger family than that mentioned in the parable. The rest of the brothers and sisters of the Prodigal, seeing the joy of their father would rejoice with him at the return of their sinful yet repentant brother. Genuine love would compel genuine rejoicing. In our Father’s house, so it is also. 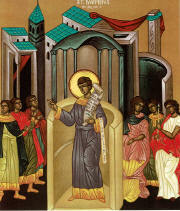 “I am poor and needy, O Lord, come to my aid,” says the Prophet and King David. There is a kind of wealth that makes you arrogant and independent even if you do not have a cent. And there is a poverty that takes no notice of visible signs of wealth, for it sees them as only transient: tools to be used, responsibilities to be managed, tokens of the greater judgment that will fall on those who have received more. For Orthodox Christians planning to travel, EGERIAexchange.com now matches people for free home and hospitality exchanges, both in the U.S. and Canada, as well as overseas. After joining the group for a low, flat fee, members may either exchange their homes with a fellow member for an agreed period of time, chose a place to stay with a host family for free without swapping homes, or pay a reasonable Bed and Breakfast fee to their Orthodox B & B host. Matushka Jenny Hainsworth of EGERIA Orthodox Home and Hospitality Exchange, says: "We let people work out the details, but the nice thing is that now, whenever Orthodox Christians travel, they can have friends wherever they go!" For instance, a home in Ballydehob, Ireland, offers visitors use of a small cottage, music lessons, three acres for strolling, and a private chapel for praying. Other countries intrigue the EGERIA web browser: Germany, Kenya, India, Greece, and Serbia. Bobby Maddex of Ancient Faith Radio recently interviewed Matushka Jenny, EGERIA's co-founder and proprietor, about the new venture--listen here. The Antiochian Archdiocese Department of Sacred Music is sponsoring its 24th annual Sacred Music Institute, to be held at the beautiful La Casa de Maria retreat center in Santa Barbara, California. Beginning on Thursday, January 28 and concluding on Sunday, January 31, the retreat will feature choir directors and instructors Vladimir Morosan, Maureena Boosamra, Fr. John Finley, Kevin Lawrence, Paul Jabara and Chris Farha. The topics covered will be numerous and varied and among other things, workshop participants can expect to: learn about the use of the ison, discover new settings for The Cherubic Hymn, and be given training tips they can use with musicians in their own parishes. For more information and registration forms, go to: http://www.antiochian.org/music. His Grace Bishop BASIL, in his St. Raphael Clergy Brotherhood newsletter on January 8, encouraged the faithful and clergy of his Diocese to mark the anniversary of the Roe v. Wade Supreme Court decision with prayers, volunteer work with local pro-life ministries, and participation where possible in the Washington D.C. March for Life. 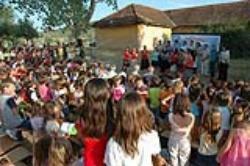 Kosovo CampThe love that Christ's disciples show for others has served as a living witness to the faith, inspiring countless numbers of people to come into the Body of Christ. For over 20 years, the Agape Canister Program of the Orthodox Christian Mission Center (OCMC), through its support of philanthropic ministries such as orphanages, feeding programs, and healthcare programs, has helped the Church to meet the needs of children, families, and communities in a loving witness to the Orthodox faith in mission countries. 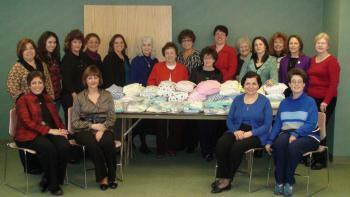 The OCMC is excited to announce the ministries that will be receiving support from the Agape Canister Program in 2010. On Sunday, January 17, 2010, the hierarchs of SCOBA have scheduled a national event to support the growth of Orthodox media outreach. Titled “Share the Light Sunday,” it is intended to raise awareness and financial support for the Orthodox Christian Network (OCN), a pan-Orthodox media ministry that is also one of the official agencies of SCOBA. OCN uses the power of the radio and the Internet to present our Church to mainstream America--to reach out to everyone, Orthodox and non-Orthodox, with a message that is engaging, accessible and Christ-centered. The Hierarchs of SCOBA have issued a letter calling attention to the ministry of the Orthodox Christian Network, and encouraging the faithful to participate in Share the Light Sunday. For more information, inluding bulletin inserts, media materials and more, please visit OCN's Share the Light Sunday web page. Khouria Maggie Hock is encouraging Orthodox parents to get involved in the fight for media decency, through two organizations: One Million Moms, and One Million Dads. Sponsored by the American Family Association, a Christian media watchdog group, the associations provide information and resources for concerned parents. "I get so many questions about how to get involved," notes Kh. Maggie, "parents want to know how they can make a difference, and protect their children." One Million Moms and One Million Dads targets sponsors of offensive programming through email campaigns and boycotts. The Diocese of Toledo is in the process of starting a new mission in Evansville, Indiana. Fr. Daniel Hackney and his family have moved to the area, and a regular schedule of services is beginning. For information, go to: evansvilleorthodox.org. My wife Carole, our three boys, and I are privileged to come to Evansville in order to share in the founding of a Mission in the largest city in the United States without an Orthodox Church. This effort is actually a fruit of the many years that Fr. Nabil Hanna and others labored for in the late nineties and early years of this decade, as they did Liturgies when they could for those in this area. Many seeds were planted during that era. She moved to Wilkes-Barre in October 1951 when her husband, the Very Rev. Herbert G. Nahas, was appointed pastor of St. Mary Antiochian Orthodox Church. For the next 35 years she faithfully assisted Father Herbert as he served as pastor of the church. She offered great hospitality to all, hosting parishioners, clergy, community and national leaders. As a member of the Ladies of St. Mary, she worked tirelessly in the many church activities and her wise advice was sought by all. She founded and operated her own businesses, Lana Fashions of Wilkes-Barre, and the East Wing Clothing Boutique. She was renound for the work of her hands in cooking, baking and sewing.